At the end of the day, I was exhausted. Two hours of setting slate tiles, followed by hours of testing in the laboratory, left me spent. But, I had trouble sleeping. So, instead of turning out the lights, I got up and prepared to indulge myself. I ran a hot Epsom salt and bubble bath, made a cup of tea, threw my hair up on top of my head and read to the end of Tantrika—famous Wall Street Journal Reporter, Asra Nomani’s, memoir of her own inquiry into Tantra and her subsequent journey to divine love, which took her to India and the Himalyas and to Pakistan at the moment when her friend, Daniel Pearl was kidnapped. I found myself saddened and horrified by the tragic story of Daniel Pearl’s murder, yet uplifted nonetheless by Asra Nomani’s telling of the journey. Life. It seems so often it finds us at the intersection of the ordinary and the extraordinary, where the sacred and the profane mingle freely. I had discovered this on my own journey—the subject of More . . . 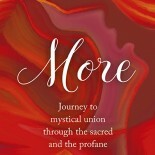 Journey to mystical union through the sacred and the profane. The next morning I got up and discovered that, despite fewer hours of sleep than usual, I was refreshed. I tackled the morning job of the day—continuing to set slate tiles for a new patio—with renewed vigor. The physical labor gave me an opportunity to reflect on the transition from stupor to enlivenment. Visions from Asra’s memoir of she and two other dakinis—elusive and playful Tantric priestesses of sorts, who act as a muse for spiritual practice—reminded me of my own dakini moments. I remembered a long forgotten footlocker, stored in a bathroom cupboard now. The footlocker held treasures and memories in the form of goddess clothing that I had collected from around the world: bejeweled twirling skirts, silk saris of all colors, gauzy shirts and scarves, jingly belly dance belts, short leather skirts, belly shirts and bright kurti. It used to be whenever we had friends and meditation teachers over, we would put on music, pull out the footlocker and play dress up. It seems a silly thing, but always it was fun and enlivening—just dakinis playing and celebrating. Today, on my own, I pulled out the long lost clothes and played dress up with myself. Pat Metheney played in the background. Before long I was dancing and skipping through the house. Then with the spirit of the dakini in me, and the supermoon calling me, I headed into my own little town of Alpine (population 15,000) ten minutes away. There I chanced to meet a wonderful new woman, Mimi, who had recently opened up a little shop. We sat and talked about life and what makes a moment precious and memorable. A man stopped by, disheveled and dirty, talking to himself. Mimi called out, “Hi! I don’t have any chocolate today.” Then turned to me and explained, “he’s homeless. People say he’s crazy.” She shrugged. ‘I don’t know, but I often have a little plate of chocolate and I offer him a piece. He always sits for a few minutes on my porch and drinks water and then leaves again.” She looked at me. I nodded. After a bit I headed on my way, stopping at the thrift store and the organic grocery store and another boutique before heading home. I headed home, heart full, face and eyes smiling, packing new goddess clothing, organic groceries and a renewed dakini spirit. Let the dakini spirit infuse you and call you to play. This entry was posted on February 7, 2018 by Mariah in Uncategorized.